★★★★★ WOW... over 6,000 words grouped by phonics sounds. This app is awesome to teach phonic awareness! One of the best ways to rapidly learn how to speak, read, and recognize words is through phonic awareness. 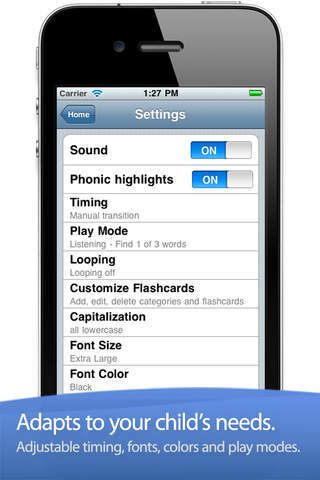 This app is specifically designed to help students recognize and distinguish words by sounds. This app is loaded with content. We are talking over 6,000 professionally recorded words carefully grouped into 225 categories by phonics. Heroic Support is not just what we do. It's really what makes us, well, us. It's that drive to make a difference in your life - no matter how big or small. Really, it's our way of life because we want you to be our customer for a lifetime of fun and learning. ★★★★★ The best flash cards app for kids just keeps getting better and better! スタディサプリ ENGLISH - 英語 リスニングと英会話..